NatWest Markets will pay $750,000 to settle charges after the CFTC found it had misreported hundreds of thousands of swaps transactions. NatWest Markets has been fined $750,000 by the US derivatives regulator for failures in its reporting of swaps transactions. The US Commodity Futures Trading Commission (CFTC) issued an order settling the charges against NatWest Markets, formerly the Royal Bank of Scotland, after it found hundreds of thousands of transactions had been misreported to a swap dealer repository (SDR). 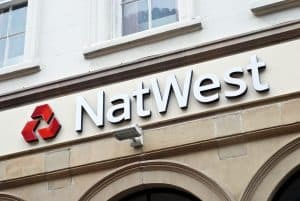 NatWest had various swaps reporting errors across more than 50 specific areas, with several hundred thousand swaps in rates, credit, equities and foreign exchange asset classes affected by the errors. The CFTC explained that the errors stemmed primarily from NatWest’s inability to timely and properly report SDR swaps creation data, swaps continuation data, unique swap identifiers pre-enactment swaps transactions and corrected swaps data. Furthermore, the swap dealer failed to report primary economic terms and continuation data for hundreds of thousands of pre-enactment swap transactions in rates and credit that were in existence on or after 25 April 2011, which is in violation of the CFTC’s reporting regulations. “The accuracy and completeness of swap reporting are critical to the CFTC’s mission to protect market participants and to ensure market integrity,” said James McDonald, CFTC director of enforcement. Several major financial institutions have been fined by the CFTC for failures in swaps reporting over the past few years. In 2016, a system failure at Deutsche Bank prevented the bank from submitting swaps transactions reports for five days. The system error occurred almost one year after Deutsche Bank was fined $2.5 million by the CFTC for misreporting swaps trades over an 18 month period. More recently, Citigroup’s global markets business was fined $550,000 for failing to report legal entity identifier information (LEIs) for swaps transactions between April 2015 and December 2016. The failure saw Citi misreport LEI’s for tens of thousands of swaps trades.